Dortmund - It'll be strange not seeing Jürgen Klopp's infectious smile at Borussia Dortmund in 2015/16, but there's arguably no better occasion to usher in the Thomas Tuchel era than the club's annual Media Day. 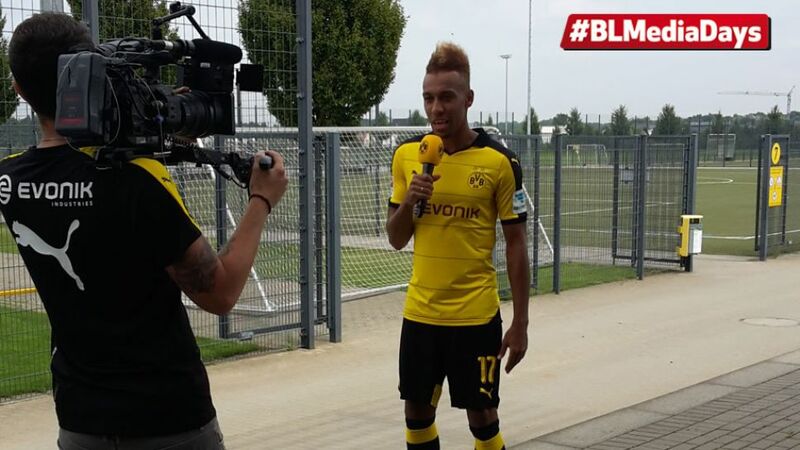 The event, which takes place at the Signal Iduna Park, is used to present BVB's new signings, take official photographs and produce exclusive media content for use throughout the upcoming campaign. Mats Hummels was taking things easy at the Media Day. The BVB captain was incredibly relaxed as he jogged across the pitch in socks with his shoes in his hand. It was only when the camera turned on that he slipped into his boots before giving the camera a cheeky grin. Another fresh face amongst the BVB crowd is Roman Bürki. The 24-year-old has been brought in to increase competition for the No1 jersey and is intent on building on the strong performances he put in for SC Freiburg. “It’s the first time in my career that I’ve played at a club as big as this,” admitted the Swiss international. The expansive nature of Dortmund’s training ground was certainly felt by the players come the end of the day’s session. Greek centre-back Sokratis preferred to make use of the readily available golf cart in order to take a little ride back to the changing rooms.